Fur Elise Sheet Music: Here you can learn more about, print and play one of the most loved classical piano pieces of all times. Ludwig Van Beethoven wrote the popular piano piece called "Klavierstuck Fur Elise" in April 27, 1810. It is believed to be originally written for a woman named Therese Malfatti. There is a lot of speculation as to where the name “Elise” comes from, and as of today nobody really knows for sure. Klavierstuck Fur Elise is also called “Bagatelle in A minor WoO 59”. It is interesting to note that the piece is written in what is called a “Rondo Form”. A Rondo is a composition which consists of several different parts, played one after the other but with a returning part (often the first) that is played in between the others. In this case the composition is in three parts; the well-known A part, also called the “theme”, and the contrasting B and C parts. The contrasting parts are called “episodes”. The famous A part begins the piece, after which a contrasting B part is introduced, the A part is played again, then the C part comes in, in a completely different mood, and after that the A part is played again to finish the piece. This creates the pattern: A B A C A, where the A part returns again and again, thus the name “Rondo” which is derived from the Italian word Ritornare meaning "to return". The three different parts are all in a different character and mood, and also have different technical challenges. Fur Elise is not quite as easy as a whole, it is considered to be a level 7 piece (late intermediate/early advanced). 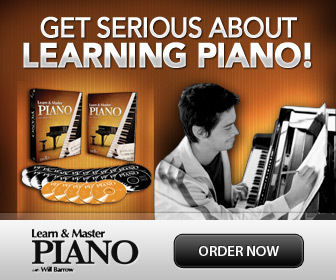 But, the most often played A part is easy enough for a beginner, usually after about a year of playing or so. Go ahead and print a free copy (PDF) of Fur Elise! This is the real version, without simplifications. Print a free PDF of Beethoven's Fur Elise. 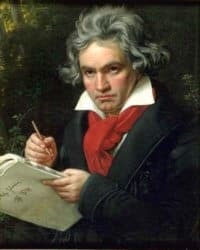 Here is a tutorial where you can learn or teach Beethoven's Fur Elise in 25 small exercises: Reconstructing Beethoven's Fur Elise: 25 Studies on Beethoven's Bagatelle in A minor.